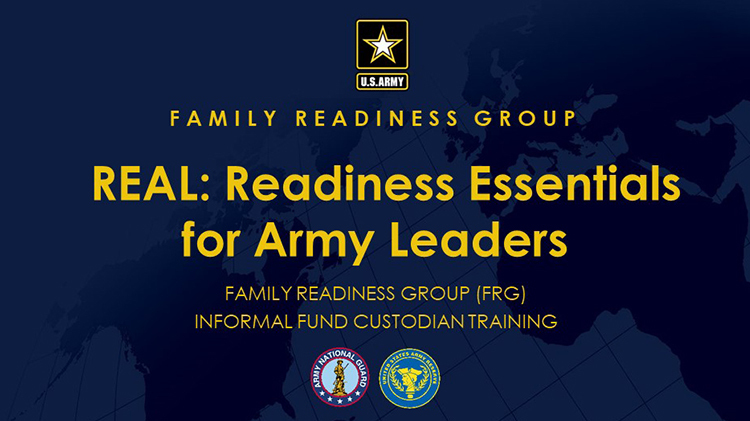 Date: May 21 2019, 9 a.m. - 11 a.m.
• Required training for all current and incoming FRG Fund Custodians. • Teaches Army regulations for managing of FRG informal funds and fundraising. • Suggested training for FRG Leaders, Commanders, and FRG Fundraising Coordinators.